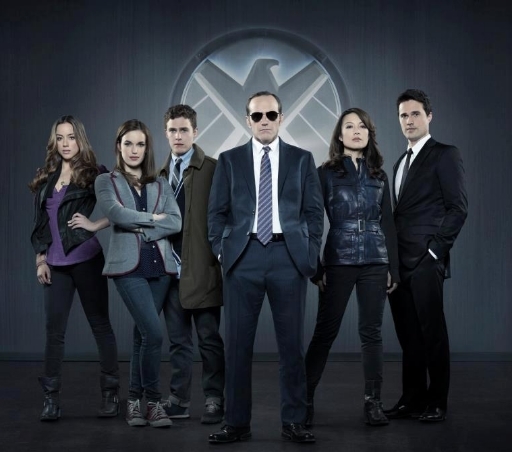 Marvel's Agents of S.H.I.E.L.D. is an upcoming American television series developed by Joss Whedon, in collaboration with Jed Whedon and Maurissa Tancharoen, based on the Marvel Comics organization S.H.I.E.L.D. It will be produced by Marvel Television, and will be set in the Marvel Cinematic Universe, sharing continuity with the films in that franchise. The series will revolve around the character of Phil Coulson, with Clark Gregg reprising the role. A pilot, written by Joss Whedon, Jed Whedon and Maurissa Tancharoen, and directed by Joss Whedon, was given the green-light in late 2012 and filmed in early 2013. The pilot was officially ordered to series on May 10, 2013. It will air Tuesdays at 8:00 pm on ABC. Re: [TV] Marvel's Agents of S.H.I.E.L.D. This is dopest! !1 Luke Cage!! oh baby who the hot brunette. ....but what if the Agent Coulson for the TV show......is actually a LMD (Life Model Decoy)? One of the cast, Chloe Bennet, was in BIGBANG's Tonight MV. And before that, she tried to make it as a pop star in China (she's half-Chinese). P.S. Once upon a time, there was a thread about her on this very forum. Good morning. Don't forget Agents of S.H.I.E.L.D. is on tonight! The subtle, dry humor was spread out ever so lightly throughout the show so that it never took away from the overall flow of the show, IMO. I nearly lost it though when Coulson shot Ward with the truth serum and Skye asked him if his Grandmother knew what he did for work and he looked at her and went "Gram-sy"? two of my very favorite things, marvel comics and Joss Whedon. Off to a great start. @ Hart, I've also been thinking LMD as well. AGENT COULSON *into earpiece* - "Yeah, we're gonna have to kill the fish tank." I just heard about this show yesterday! Loved the first two episodes! So much fun!!! Ahh!! Only 5 episodes in, and already there's a casting change? "AGENTS OF S.H.I.E.L.D." Gets Another Agent Of S.H.I.E.L.D. According to Latino Review, the cast of ABC's Agents of SHIELD is about to get a little bigger. Or maybe they're about to kill four or five characters, and the show's about to get better instead. Apparently someone named Saffron Burrows has been cast as someone named Agent Victoria Hand. Hand is a fairly new character, so new that they already killed her in the comics. I think she was supposed to be a lesbian, as well. That Marvel, always pushing the envelope. It's not like you'd look at a picture of The Mayor from Buffy and automatically get excited for what a great villain he'd make. But still. 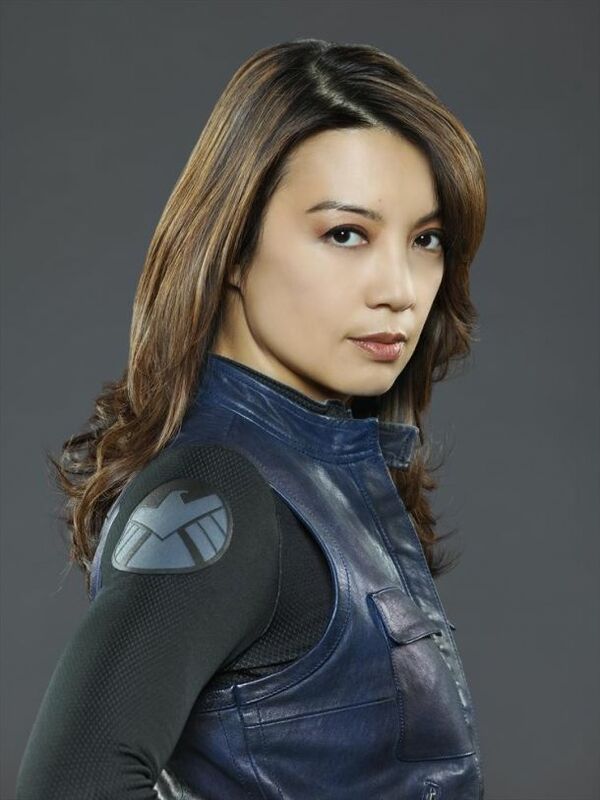 I already can't tell her apart from every non-Coulson character on the show. People have been noticing a recent upswing in Agents of SHIELD's quality. I've sort of noticed one, too But rather than bring the show to "good" status, the slight improvement has only made it somewhat less insufferable. If they're going to add people, I wish they'd add some who actually resemble people. Just watched the 8th episode, "The Well". Nice to see that they're sticking to/working in the canon that has been established by the Marvel Universe movies. And on a side note...did I just see Ward going into May's hotel room? It is not a bad show but you always expect the superheroes like Iron Man to show up but we know it will never happen.